from 9am to 5.30pm weekdays. 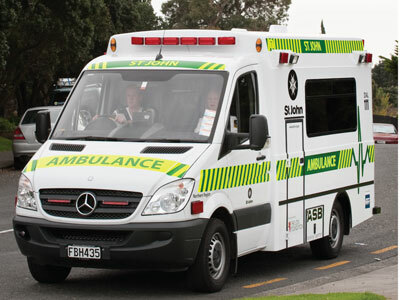 Maungaturoto has its own ambulance service and a paid ambulance officer stationed there during the week days from 9am to 5.30pm. The Maungaturoto station covers the greater Otamatea area including Tinopai, Mangawhai village, south to just past Topuni and north to the top of the Brynderwyns. The week-long Trash and Treasure fund-raising sale is held in September each year. Maungaturoto is fortunate to have its very own fire brigade with a group of approximately 20 dedicated volunteers and two fire engines. Maungaturoto has its own police station next to the Sitting Duck takeaways.